You're planning your dream day. 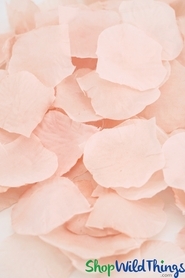 You anticipate every detail and before you know it, it's time for your special moment. 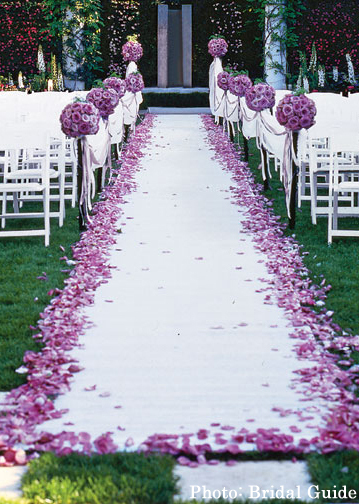 Make your entrance on this White Fabric Aisle Runner and you'll truly feel like a princess! This inexpensive pristine aisle runner is thin, lightweight made of a non-woven fabric with a graceful decorative swirl pattern that makes this runner even more elegant and it will really set off your ceremony! The runner is 100" long and a little over 3" wide and comes with a silky smooth rope pull. The texture is soft and smooth so shoes will not �stick" and you don't have to worry about making that embarrassing crunchy noise! The material is very sturdy, slightly stretchy and easy to cut so it can definitely be used for more than just a runner. You can use it to enhance wedding arches and tables and it's great for covering unsightly columns, poles or unpleasant areas. 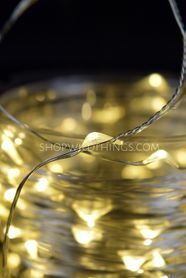 The delicate swirl pattern makes this fabric ideal for tastefully dressing up all sorts of areas and our DazzLED Fairy String thin wire light strand looks outstanding under this material. 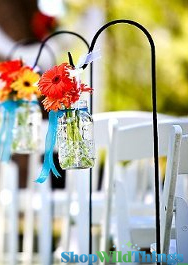 This Aisle Runner is sure to make your entrance one that everyone will remember! Consider using a stencil to personalize your runner! If using this runner outdoors, you will want to consider using weights, or double-sided self adhesive tape to hold it in place.